Perusing Palgrave's Dictionary of Political Economy from 1894 alerted me to the odd interaction of a pair of distinctions. The first distinction was between the study of "what is" and "what ought to be." The second distinction was between "economic science" (or "economics") and "political economy." Economic science presumably distinguished itself from political economy by its strict focus on describing "what is" rather than on prescribing "what ought to be." "...even well-educated persons still occasionally speak of "laws of political economy" as being "violated" by the practice of statesmen, trades-unions and other individuals and bodies. You can't "break" scientific laws. They are simply generalized descriptions of fact. A flying airplane doesn't break the law of gravity. It conforms to a more comprehensive complex of physical laws. The law of gravity isn't the only law. Palgrave's Dictionary further noted that the "great complexity and variety of circumstance which surround every economic problem are such as to render the enunciation of general laws, on a large scale, barely possible and if possible barely useful." So the whole "positive" economics rigamarole wasn't just about methodological rigor. It was a purification ritual to rid the political economist of the stigma of dogma. Economists who invoke the violation of so-called laws aren't only forfeiting any legitimate claim to economic science. They are contaminating their profession with atavistic hokum. Speaking of atavistic hokum, I have been trying to track down ANY accessible published record of a trade unionist or advocate of the reduction of the hours of labor EVER overtly expressing the belief that there is a fixed amount of work to be done or a certain quantity of labor to be performed or whatever synonymous equivalent. There is none. There is a reasonable explanation for this absence of evidence. The alleged false belief is expressed in abstract language that was not vernacular to the people accused of harbouring it. It's the wrong answer to a question workers never asked themselves. False belief requires two conditions to be fulfilled: 1. the idea is false and 2. it is believed by someone to be true. 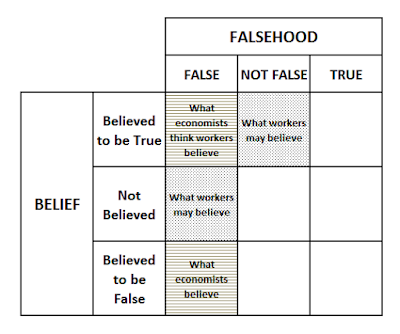 The matrix below shows the possible states of belief and falsehood. An idea does not have to be true to be "not false" and it doesn't have to be believed to be false to be "not believed to be true." The fallacy claim asserts a simplistic (and false!) polarization in which the beliefs of the "unenlightened" are "the opposite" of economic orthodoxy. In an 1861 letter to the Times of London "A Master Builder" alleged that George Potter, secretary of the carpenters' union, and his associates had "absurdly argued that there was only a certain amount of work to be done" during a 1859 strike and lock-out of the London building trades. There is a detailed report on the 1859 strike in an 1860 report on Trades' Societies and Strikes published by the National Association for the Promotion of Social Science. The 23-page account presents several items of correspondence from Potter outlining the union's position with not a hint of a lump in the load. The "certain amount of work to be done" was what Mr. Master Builder thought he heard when he mentally translated Potter's argument into his own capitalistic patois. There was something else interesting in the 685-page document -- an overarching controversy about whether or not labor was a commodity just like any other and therefore whether or not unions violated the laws of political economy by trying to regulate wages and hours of work. The employers who maintained this were pretty dogmatic about it. "Rates of wages cannot be settled by mediation, but must be left to the free operation of supply and demand." It's the law! This was not simply political economy It was vulgar political economy of the most self-serving and disingenuous kind. One has no difficulty whatsoever finding multiple evocations by employers of the so-called laws of political economy but the elusive lump remains "one of the most tenaciously held and generally least articulated of trade union beliefs." Least articulated? Least articulated is an understatement. Try NEVER articulated. There is no there there. 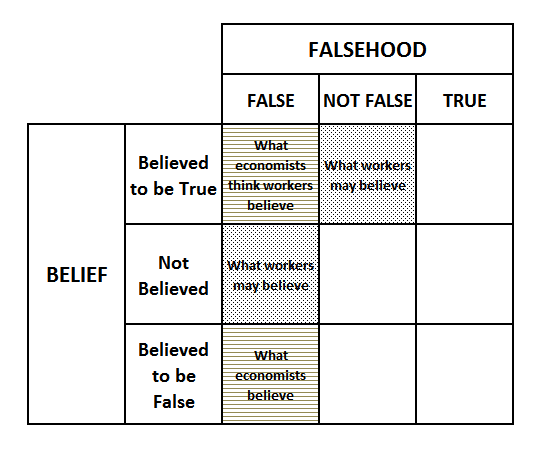 The alleged false belief is a pure projection by the laws-of-political-economy crowd onto the unbeliever. The eighth annual report of the New York Bureau of Labor Statistics for the year 1890 contains the responses of over 600 labor union locals to the question of whether and why they support an eight-hour day. Not one claims there is only a certain quantity of work to be done. The fact is, there is a certain quantity of work to be done, and the question is who ought to do it -- those who live by their labour, and their labour only, or those who have thrown themselves on public charity. Can anyone find such an unequivocal articulation of the false belief by a trade unionist? Of course not. It's not the way that workers talk about their work. Work is not an abstract, disembodied quantity to those who do it. It is part of a lived experience. "A certain quantity of work to be done" is political economy speak, plain and simple. It's ceteris paribus and "all else being equal." There is a certain quantity of work to be done, and a certain number of hands to do it; if there be much work and comparatively few hands, wages will rise; if little work and an excess of hands, wages will fall. It is self-evident that combinations and strikes cannot alter this law. They can neither increase capital, nor diminish population; and, therefore, it is utterly impossible, in the very nature of things, that they ever can procure a permanent rise of wages. There is, say they, a certain quantity of labour to be performed. This used to be performed by hands, without machines, or with very little help from them... The principle itself is false. There is not a precise limited quantity of labour, beyond which there is no demand. Trade is not hemmed in by great walls, beyond which it cannot go. By bringing our goods cheaper and better to market, we open new markets, we get new customers, we encrease the quantity of labour necessary to supply these, and thus we are encouraged to push on, in hope of still new advantages. A cheap market will always be full of customers. Five years ago I compiled a database of over 500 instances of the claim in books and journal articles between 1890 and 2010 (Excel file). That's 500 claims without a single overt statement of the false belief from an alleged believer. Six claimants (about one percent) named culprits whose argument "arguably depends upon..." "makes an error equivalent to..." "indicates a belief..." "seems hopelessly involved in..." "is an example of the strange conclusions to which one may be carried by clinging clinging firmly to..." and "are driven by implicit assumptions." Each of those turns out to be a false alarm -- an uncharitable, speculative inference. Five hundred boys crying "wolf" and not a single wolf to be seen? This is an astonishing performance. This compulsion to repeat is not "careless" or "dogmatic." It's neurotic. The patient cannot remember the whole of what is repressed in him, and what he cannot remember may be precisely the essential part of it.. He is obliged to repeat the repressed material as a contemporary experience instead of remembering it as something in the past. Freud reverses the compulsion to repeat, showing how we will sometimes injure others in order to avoid injuring ourselves. Freud concludes that we often project the internal, masochistic drive as the external, sadistic drive, victimizing others to redirect an intent toward self-victimization. The utilitarian political economists styled themselves advocates for "the greatest good for the greatest number" and viewed opponents as apologists for narrow special interests. The supposed laws they discovered, which operated through isolated exchanges between individuals in the market, vindicated a system of natural liberty and consequently freedom entailed obedience to those laws. Collective action and collective bargaining violated the laws of individual exchange, resulting in sub-optimal outcomes. Such perversity could only be motivated by false beliefs. The false beliefs of the adversary were presumably the opposite of the true beliefs of the faithful: trade unions operated through tyranny and their bizzaro-world political economy assumed that less output meant more income. Reality discredited that polemic of political economy and calmer heads sought to rebrand the enterprise as economics. The ersatz laws were scaled back to tendencies, which operated within the admittedly abstract ceteris paribus pound of the economist's static model. Real life and the evolution of economic relations operated outside the ceteris paribus pound but maybe the static model could shed light on dynamic economic activity. While those who sell other commodities are able to influence the price by a suitable regulation of production, so as to bring about a satisfactory relation between supply and demand, the purchaser of labor has it in his own power to determine the price of this commodity and the other conditions of sale. But even as old-guard political economy was being gradually displaced by rebranded economics in the universities, employers' associations and business journalism emerged to propound and propagate the old-time religion. The break with quasi-scientific, quasi-legalistic, quasi-religious pseudo-laws was ambivalent, the reconciliation surreptitious. Employers' associations told the college teachers what to teach. Textbooks served up a smorgasbord of the obsolescent and the innovative. In this twilight of science and superstition, the fallacy claim offered uncertain economists a distinctive advantage. It enabled them to continue to denounce violations of the laws of political economy without actually having to specify which laws were being violated. That left them exempt from any obligation to justify the validity of defunct laws. The burden of proof deftly shifted and the providence of economic science affirmed, albeit by default. Economic science thus gets to have its "what is" humility... and eat its "what ought to be" hubris too! Evidence be damned. 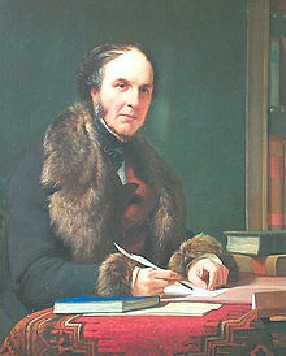 That there was one particular offense singled out for condemnation by the self-appointed economic police is suggested by the example given in Palgrave's Dictionary for the common confusion between the legislative and scientific senses of law: "Thus it is often said that to regulate the hours of labour, or to introduce differential import duties, is to break economic law." The anachronism of such a view should require no explanation. The hours of labor are regulated. Any proposal to repeal the Fair Labor Standards Act of 1938 on the grounds that it "breaks economic law" would no doubt be laughed at by Paul Krugman, David Autor, Jonathan Portes or Alan Manning. But, inadvertently, that is precisely the historical grammar of their lump-of-labor fallacy taunt. Although there is no logical imperative that links the law-breaking claim to the fallacy claim, they have been inseparably paired in usage from their inception. To invoke the latter is either to imply the former or it is a non sequitur. At long last, economists, have you no scientific self-respect? On this labor day, 2016, would you still insist that regulating of the hours of work breaks the laws of economics? Fascinating stuff. We really need a general history of how all of these phony claims began, and I imagine that a lot of them started in the 19th Century. "There ain't no such thing as a free lunch", "wants are infinite", "incentives matter", etc. They are like roadblocks in the brain, redirecting intellectual cognition to go down roads of emotional motivations. The founding fathers were straightforward people and called themselves political economists, that is, they left no doubt that their main business was agenda pushing. They were, though, well aware that it helps much to back up one’s soap box arguments with some authority. Moses established the prototype of political communication by claiming that God personally had spoken to him. Knowing his goat herders, the lawgiver did not forget to hint at severe punishment in case of violation. Thus the meme of behavioral/social law was firmly implanted. Things changed fundamentally when the Greeks invented science and draw the demarcation line between belief/opinion/doxa and knowledge/episteme which referred to the laws of Nature/Logic. After Newton and his wildly successful Law of Gravitation it became clear to economists that the standards of argumentation had risen: storytelling had to be replaced by proof. Lacking a genuine understanding if science, though, economists borrowed only the outer form and thus established what Feynman famously called a cargo cult science. This is how the use of the concept of law became purely rhetorical in economics. Economists are incompetent scientists and therefore never had much compunction to postulate/accept constrained optimization as their foundational behavioral law. The other methodological lunacy has been to take equilibrium into the set of foundational propositions a.k.a. axioms (Weintraub, 1985, p. 147). There are systemic laws of different degrees of complexity, for instance the Profit Law or the structural Law of Supply and Demand (2014a), but NO behavioral laws. The representative economist never got the crucial methodological point and this is why economics is a failed science. The provable fact of the matter is that the monetary economy is governed by systemic laws which are comprehensible to the scientific mind, which in turn EXCLUDES Walrasians, Keynesians, Marxians, Austrians in general and Sandwichman in particular. Kakarot-Handtke, E. (2014a). The Law of Supply and Demand: Here it is Finally. History. SSRN Working Paper Series, 2500696: 1–22. URL http://papers.ssrn. "The provable fact of the matter is that the monetary economy is governed by systemic laws which are comprehensible to the scientific mind, which in turn EXCLUDES Walrasians, Keynesians, Marxians, Austrians in general and Sandwichman in particular." It is indeed a distinction to be singled out by Professor Eggmount Kaka-Roach as most abject of the abject. Welcome to the club, S-man, :-). Sandwich, you are the man. Buried toward the end of my torrent of glib verbiage is the real treasure, an excel spreadsheet file containing over 500 entries from between 1890 and 2010 compiled from Google Books searches for "lump of (labor, labour, work, jobs)" and "fixed work fund." This is virtually a population of claims. I have skimmed them all, looking for the counter-claims and for claims that actually named a culprit. When someone claims the "economists have debunked the fallacy countless time," I can say with a high degree of confidence that they are blowing smoke out of their orifice. Have economists also shot countless unicorns and exhumed countless Piltdown men? The "tenaciously held and least articulated" belief has NEVER been shown to exist outside of the hallucinations of the self-styled debunkers. So what? Why would this even matter? Because the reduction of working time is one of the critical vulnerabilities of capitalist hegemony. Limitation of the hours of labor kills plutocracy. As far as the Greeks "inventing science" goes, I'd like to remind that Aristotle taught that heavy objects fall faster than light objects, "Because it's logical." It wasn't until Galileo asked, "Is that really so?" That we approach what we now call science. I've been trying to find the link, without success, but Steve Randy Waldman named the source of the accusation of "lump of labor" theory, an English economist from the early 19th Century. He basically refuted it with Say's Law, saying that, contrary to workmen who said machinery was putting them out of work, creating cheaper manufacturers creates more jobs by creating larger markets. Wish I could find that article. I recommend his series of articles on Welfare Economics at http://www.interfluidity.com/v2/5537.html In fact I regard him as the very model of a teacher, making the study of economics accessible to informed laymen. Another discussion of this going back into the eighteenth century is "The Invention of Capitalism," by Michael Perelman. These premises are provable false and cannot by any stretch of the imagination produce scientific knowledge of how the actual economy works. The representative economist, though, swallows this rather obvious junk hook, line and sinker since about 140 years. What he then produces are lengthy but pointless sitcoms like lump of labor, the capital controversy, saving equals investment, Say’s law, voluntary/involuntary unemployment and so on. The only thing the informed layperson has to know when she/he tries to make sense of the representative economist’s argument is: It isn’t science, it isn’t true, it is just another astounding rubbish from econ101. Economists who invoke the violation of so-called laws aren't only forfeiting any legitimate claim to economic science. They are contaminating their profession with atavistic hokum. I am sorry, but for the first time I'm going to disagree with the formidable Sandwichman. Your claim seems to be that economists believe economic laws could be broken. Note this: whether economic laws are real or not, is not the issue. Economists claim to believe in economic laws and that's what matters here. I believe economist understand natural laws cannot be broken and that the law of gravitation, for example, can never be broken, as you very correctly wrote. A flying airplane doesn't break the law of gravity. It conforms to a more comprehensive complex of physical laws. The law of gravity isn't the only law. But the fact that natural laws cannot be broken need not stop people from -- deliberately or not -- attempting to break them ... with disastrous consequences. Parents warn their kids all the time: don't climb up that tree, or your gonna fall; don't run with scissors/knives/glasses in your hands, don't play with fire, don't insert your tiny little fingers in the power outlet. They understand kids can do those silly things and harm themselves. When economists claim that policy-makers are trying to break an economic law, rightly or wrongly, they appear to have in mind a similar situation. They are threatening/warning the law-breaker: thou shalt not do that. The economist is the father-figure, the policy-maker is the toddler. Moses coming down from Mount Sinai, with the tablets of the law. At least, this is what, in my experience, they talk about. You may be right, Magpie. I was going along uncritically with what the Palgrave's was saying. On the other hand, economic "laws" are posited ceteris paribus but often invoked without qualification. Ceteris is never paribus.